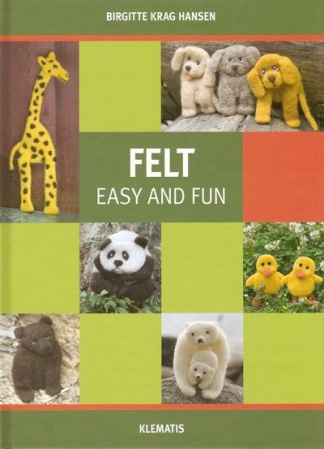 The figures in this book are small -12-15 cm- and fairly quick to make. They are soft and movable and suited for both play and theatre. They are made from few parts needled together in different ways. The point of the book is to simplify the figures as much as possible while still making them cute and fun. Moving the head and legs around gives the figures new expressions. The idea is to stimulate the imagination both during the creation phase and after the figures are finished. There are instructions and step by step photos for each figure. Some of them are so easy that even children can work from the book without help from adults. Other figures are a bit more demanding.